CARFAX CERTIFIED ONE OWNER!! 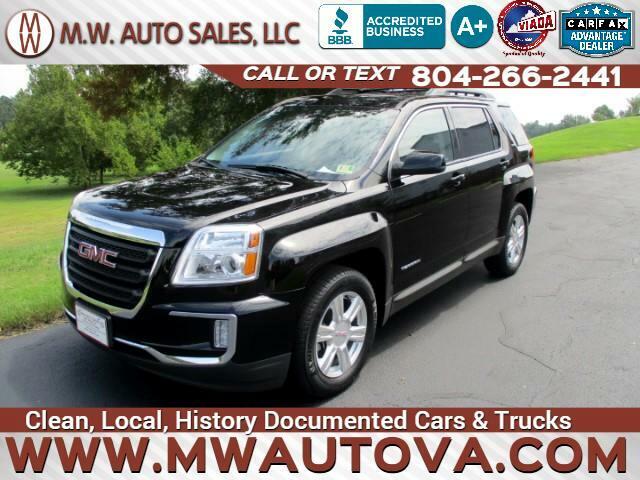 We are pleased to offer for sale this one owner 2016 GMC Terrain SLE2 AWD finished in an original onyx black clear coat exterior over a matching charcoal black cloth interior that has never been smoked in. This Terrain comes well equipped with power drivers seat, power windows, power mirrors, power locks, cruise control, collision warning system, lane departure warning system, blind spot monitoring system, backup camera, navigation, remote start, automatic climate control, and alloy wheels wrapped in a nice set of matching Michelin tires.